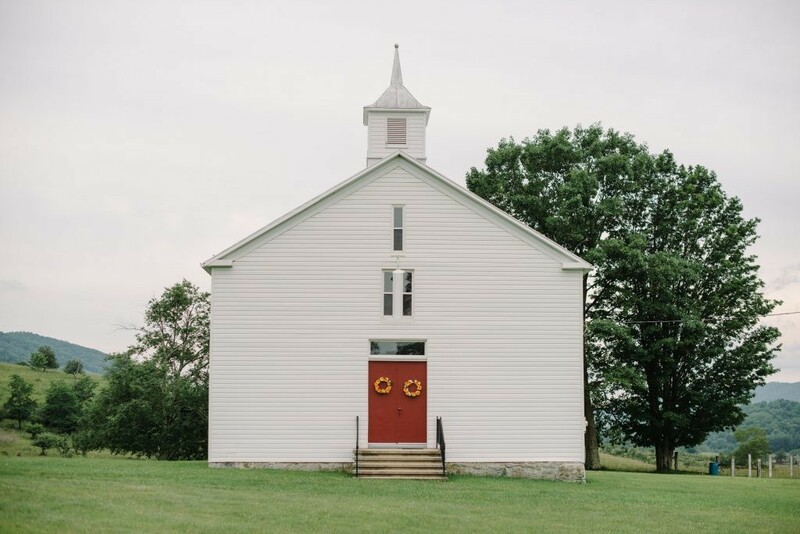 Religion plays a central – and often under-reported— role in the lives of many Appalachians. At 100 Days in Appalachia, we are expanding our coverage of religion to look more deeply at how it shapes family, community and political life within the region. As part of this effort, we also want to illuminate the complexity and role of the diverse religious communities here and how their stories not just fit into, but shape the national narrative— sharing the stories of Muslims navigating their Appalachian identities, the centrality of church within many communities of color, the new political voices among white evangelicals and any number of other faith-based intersections that we see every day in the region. Religion editor Crystal Lewis Brown brings a unique perspective to the topic and shares her collaborative approach to leading reporting on the changing experience of faith in society – with more inclusive conversations and more community engagement at the forefront of her vision. Why is Religion an important topic for 100 Days in Appalachia to cover? When people think of religion, I think their perspective defaults to a god. But it’s much more than that. Religion is an entire belief system; a foundation on which your decisions are informed. It’s more than a place you may go once or twice a week; it’s a culture. It’s what guides those of us who consider [ourselves] members of a religious community as we go about our day-to-day lives. That includes who we support, and yes – who gets our vote. For 100 Days, I think it’s an important topic because it’s too easy to assume who we are based on what folks know, or think they know, about religion in Appalachia. And like any other group, so-called religious folks aren’t a monolith. We struggle with how our beliefs coincide with our lives, including our politics. Sometimes, it’s easy. And sometimes, it’s hard to reconcile. Having a Religious vertical as part of 100 Days isn’t about reconciling those beliefs. It’s about letting those who lie outside Appalachia’s borders see that there are differing beliefs. And that’s powerful and important. You bring a unique perspective to this topic. Tell us about your own background and how that informs your perspective and what you bring to leading content development on this topic? What kind of content can we expect? Can you give us some examples of the ways a deeper look at religion will strengthen 100 Days reporting for the region? I grew up in a Baptist Congregation but my mother’s side was Pentecostal Church of God. They had stricter rules against what holidays we’d celebrate and what to wear — in particular, what women can wear. And although I grew up Baptist and have since moved on to non-denominational congregations, a lot of it “stuck.” I know folks like me may struggle with how to reconcile our beliefs with our religion, especially with hot-button topics such as abortion or LGBT issues. During President George W. Bush’s second run for president, I recall family members who said they’d voted for him strictly because of his stance on abortion. Years later, I see the same family changing their stances. That divide — that head-butting of beliefs — is the type of content folks should expect from 100 Days. It’s not about countering beliefs, it’s about looking deeply at how we weigh our belief systems and determining what holds greater weight in determining our position on an issue. It’s also about breaking through pre-conceived notions what Religion in Appalachia means. I see my friends on social media too easily lump all of Appalachia together into one belief system, and that is part of the problem. We’re individuals. We’re people. And when you think of people in relation to region, social status, class, religion — it’s too easy to assign attributes to them that may not fit. How might this reporting complicate established narratives about religion in Appalachia and what is the potential impact? Sigh. I think we all know what the established narratives would have us believe. “We are all right-wing fundamentalist Christians who are all against the same things and for the same things.” I wouldn’t have a problem with that narrative — if it were the truth. As journalists, that’s what those of us at 100 Days seek to provide. On these pages, we’ve shown that religious beliefs and the role these beliefs play in community vary widely among Appalachians. And we’ve also seen that beliefs within religion vary extensively. As we often remind our readers at 100 Days…“It’s complicated.” The public can’t assume that religion alone drives the votes of those raised in and/or residing within Appalachia. And that goes the same for the rest of America. Sunday Supper reminds me of the big family Sunday dinners after church. It’s a non-confrontational time to eat, talk and sometimes argue. There’s something about sharing an intimate meal with friends and family, even virtual ones, that feels more comforting than having discussions in another forum. And you know that what happens at dinner stays at dinner; it’s all fair game but it’s also all done in the name of learning from each other. There’s not enough of that happening these days, and if it takes a meal to do that, I’m all for it.